Airline Vacuum has been serving the central vacuum needs of the Houston area since 1957! We are proud to offer VACUFLO® Central Vacuum Systems. 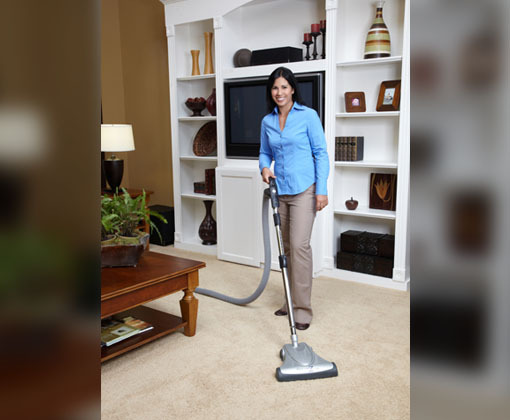 VACUFLO Central Vacuum Systems offer you the ultimate in cleaning power, indoor air quality benefits and convenience. VACUFLO central vacuums are powerful – up to 5 times more powerful than the typical portable vacuum. VACUFLO offers healthy indoor air by removing 100% of vacuumed dirt, dust and allergens from the home. Unlike portables there is no recirculation of dust particles in the living area – creating a truly healthier environment for your family. And, VACUFLO offers the widest variety of accessories to make cleaning more convenient, and even a little fun!